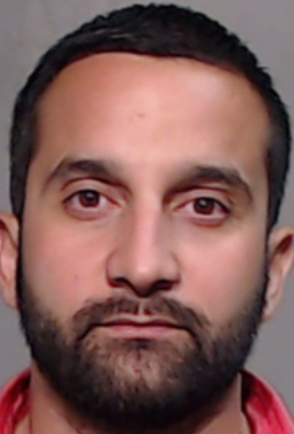 McALLEN — A Mission man accused of purchasing firearms and then selling them illegally was found not guilty Wednesday in federal court. Lombardo Bazan, 32, was found not guilty on all four charges of making straw purchases a day after opening statements in his trial began, according to court records. Bazan, who was arrested last year in connection with a federal investigation into at least four firearms seized at the U.S. Mexico border last January, faced several years in prison in relation to the federal gun charges. Upon authorities detaining a man at the U.S.-Mexico border for attempting to smuggle 16 firearms into Mexico, at least four were discovered to belong to Bazan. Nine months later Bazan would meet with federal agents in relation to the firearms investigation. Bazan never denied purchasing the four firearms, all 9mm Glock 42s, saying he had traded them for a 1993 Ford F-150 pickup truck. Records, however, showed the vehicle was purchased on May 19, 2016, for $800. Agents also interviewed the former owner of the pickup truck, who stated the vehicle was not traded for any firearms but sold for $800, the complaint states. The agents also located and interviewed two conspirators who claim Bazan recruited them to purchase firearms for him. “These individuals explained that they were recruited by Bazan to purchase firearms and that they were paid by Bazan after completing purchases,” the complaint states. These conspirators told agents that Bazan would provide them the money and the information as to which firearms to purchase, and then paid them upon making the purchases. “The co-conspirators told agents that Bazan traveled with them to the (federal firearms licensed dealers) to purchase firearms on certain occasions,” the complaint states. But after only one full day of testimony and before noon Wednesday, Bazan, whose attorneys rested their case Tuesday afternoon, was found not guilty on all four charges by a jury of his peers.